Fancy seeing a true king of the Blues? To call Bob Brozman a blues-man is a bit of a of an understatement - the legendary guitarist can effortlessly play all styles from jazz, calypso, ragtime and Caribbean music as well as collaborating with a kora player (Djeli Moussa Diawara), a Hawaiian guitarist and ukulele player (Ledward Kaapana), an Indian slide guitarist (Debashish Bhattacharya) and a French accordionist (Rene Lacaille). Sounds bonkers? 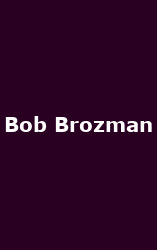 Not at all - Brozman has an incredible style and pedigree and has picked up a few 'guitar-player' awards for his skilful and deft playing of the slide guitar, as well as other 20s and 30s stringed-instruments. If you want to see this man perform miracles with a fret-board, Brozman is on tour in the UK during the autumn, starting at Exeter's Phoenix Arts Centre on 25th September and continuing to Salisbury's Arts Centre (26th Sep), Dalston's Vortex Jazz Club (5th Oct), Barry's Sea View Labour Club (10th Oct) and finally the York City Screen Basement (15th Oct). Tickets are a worthy £10 approx. Meanwhile, I recommend his solo album from 2007 called "Post Industrial Blues" - a worthy hotpot of tasty slide-flavoured morsels.